A naturalized U.S. citizen of Iranian origin was arrested on charges of attempting to ship F-35 technical data to Iran. Mozaffar Khazaee was detained on January 9 at Newark International Airport on his way to Tehran, The Navy Times reported today. Khazaee was charged with “transporting, transmitting and transferring in interstate or foreign commerce goods obtained by theft, conversion, or fraud.” The crime carries a maximum 10 years imprisonment. 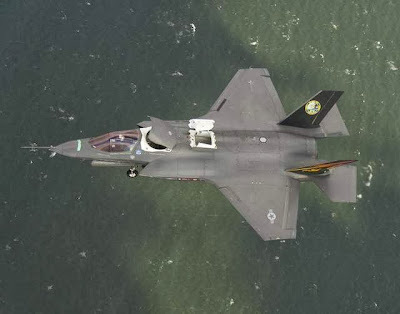 F-35 is the fifth-generation fighter, which is expected to be the backbone of American air superiority over the next several decades. I have full sympathy for this unfortunate fellow Iranian who may have been the victim of a dirty sting operation. And Mark supposed to be an military expert of this blog in the past. And what the hell would the Iranians do with the information, beside transferring it to the Russians and the Chinese? Why would the Americans want to do something like that? There is no reason for creating "false-flag" operation. Nobody benefits from it.